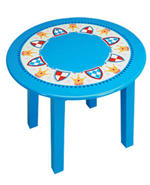 Make your little one an official Knight of the Round Table. Matching knight chairs also available. International shipping available (contact directly to make arrangements). Wonderful cool onesies, made of indescribably soft bamboo. Back by popular demand, Global Exchange's kit for making Halloween more fair trade and eco-friendly. Contains organic fair trade chocolate for trick-or-treating, fair trade Halloween decorations, and info-rich postcards for handing out. This kit makes fair trade boo-tiful. 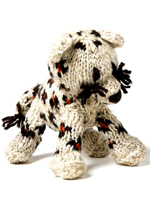 Beautiful plush toy, handmade by rural artisans in Kenya. No, not Robeez -- these are handmade by a South African cooperative. Ages 0 - 24 months. I love a clever baby blanket. 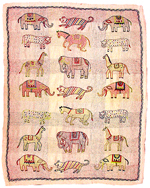 These are hand-woven with animal shapes in Bangladesh. Shipping within the United Kingdom only. 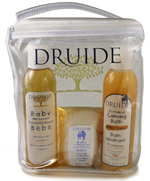 Organic cleansers for your baby, including shampoo, calming bath soak and soap. Shipping only available to Canada and the continental United States. 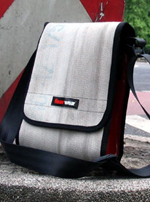 Made from reclaimed fire hoses and seatbelts.